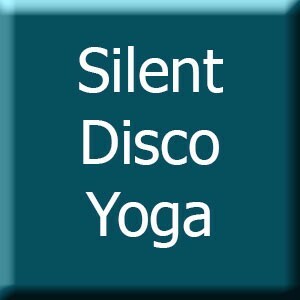 You can now book onto our next SILENT DISCO YOGA class running on Saturday 17th September at 5pm! The class will be held on the beach at North Fistral, just outside the Beach Bar and will be just in time for an epic sunset over the ocean whilst you practice! Use the postcode TR7 1HY to find your way and plenty of parking is available onsite. If you missed the last one, our SILENT DISCO YOGA class is a musical yoga experience not to be missed! The all levels vinyasa flow class with be accentuated by wearing headphones and immersing yourself into a musical journey as you practice – don’t worry, the headphones stay on! The class is taught using a microphone that you will also hear via the headphones and postures are choreographed to the varying rhythms of the playlist. A very immersive yoga experience! Check out the video above to get an idea of what to expect! Beginners and children (supervised) are very welcome. Some mats will be available on a 1st come, 1st served basis so if you have one, please bring it along!